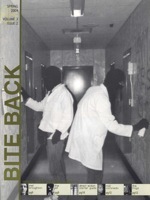 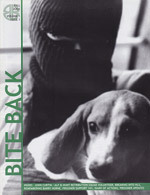 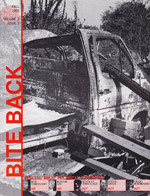 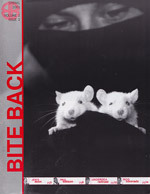 “Bite Back was formed in 2002 to give voice to activists who choose to break the law to help animals, and to feed an animal rights movement hungry for news about non-violent direct action. 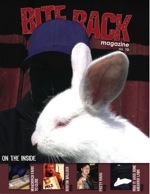 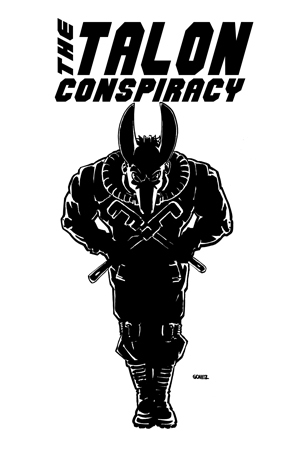 Our goal was to produce a magazine that was professional looking, creative and exciting. 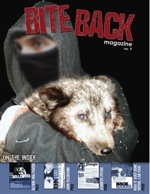 In the years since our first issue, we’ve shipped the magazine to activists around the world, posted close to 4,000 reports of actions on our website, fought back lawsuits by some of the largest corporations in the world, and raised thousands of dollars to support animal rights prisoners of conscience. 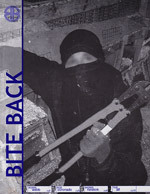 Bite Back reports news often not found anywhere else. 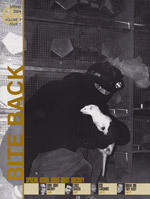 We hope our work is both inspirational to those who seek a more humane world, and unnerving to those who seek profit through exploitation and terror.